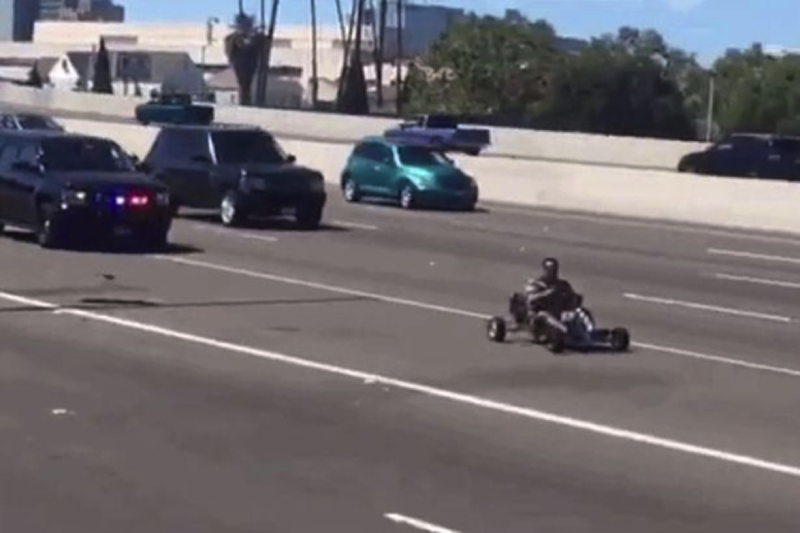 It was noticed that police in California was doing an unusual thing when they chased a man driving a go-kart on a freeway in Oakland. The incident was spotted last week and the fellow motorists filmed it and it was also noted that the cops were in the highest of speed they could have ever taken part in. To make the incident viral, the video was uploaded online within fraction of seconds and several users had their theories as to what was going on. According to LA times, it is not known whether the man was eventually pulled over or not as none of the areas that police forces own are allowed to take part in the bizarre chase. Undoubtedly, this incident showed unusual behavior on the part of the Californian Cops.